As Tom said, Valentine’s is fast approaching. Just in time, Christopher Bale and colleagues have published a study in Personality and Individual Differences on what 142 female and 63 male undergraduates thought of 40 different chat up lines as featured in mini stories about a man attempting to woo a woman. It was thumbs down to jokes, empty compliments and sexual references (“Well hey there, I may not be Fred Flintstone, but I bet I can make your Bed Rock!”) and thumbs up to lines revealing helpfulness, generosity, athleticism, culture (“It’s a fine instrument wouldn’t you say? A Steinway concert grand if I’m not mistaken”, he said pointing to a nearby piano) and wealth (“Hi, my name’s William, I’m one of the owners here, would you like to dance?”). Surprisingly perhaps, the male and female participants tended to agree on which lines were likely to be successful. The poor ratings for jokey chat up lines were unexpected but the researchers said that could be due to their failing to give different categories to wit – “spontaneous jokes that fit the context exactly, are genuinely funny, and require intelligence” and humour – “the pre-planned jokes and one-liners which were ineffective and do not demonstrate intelligence”. American Scientist reviews two new books on the scientific history of the synapse and the early work on neural communication, particularly focusing on the life and work of pioneering Spanish neuroscientist Santiago Ram√≥n y Cajal. In his Nobel Prize winning work, Cajal discovered the synapse and first argued that the neuron was the fundamental unit of the nervous system. Although this is now accepted as fact, at the time it was highly controversial. The review is more than simply an opinion on the two books, but is actually a fantastic summary of his life and times, and the scientific discoveries which changed the world. Link to review entitled ‘A Lot of Nerve’. A database of MRI scans of normally developing children has been launched that could revolutionalise the understanding of childhood brain function, injury and disease. It includes brain scans of 500 children from 7 days to 18 years-old and aims to be representative of the population at large. The understanding of child brain function is still a grey area, despite the fact that the young brain can show remarkable properties. One difficulty with many current studies of brain development in children is there is no precise reference for what constitutes ‘normal’ development. The database will provide a wealth of data for clinicians and researchers to make accurate comparisons, rather than relying on detecting the presence of abnormalities by eye, or by comparison with small or ad-hoc control groups. The journal NeuroImage just published a early-release copy of the article describing the development and potential uses of the data. The project has been realised by a huge list of individuals, listed as the ‘Brain Development Cooperative Group’, and by neuroscientist Alan Evans. Link to NeuroImage abstract ‘The NIH MRI study of normal brain development’. Link to summary from NIH. 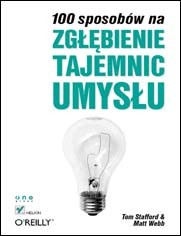 Mind Hacks has been published in Polish as 100 sposob√≥w na zg≈Çƒôbienie tajemnic umys≈Çu. You can order it here, and at kognitywistyka.net, the polish cognitive science website, you can read an interview Matt and I did. The interview is available in English and in Polish and is part of a series of three (the next two will shortly be available in the same place). And so, to any polish readers – welcome to mindhacks.com! Lord Byron in the Ravenna Journal, 1821-22. Chances are you have never heard of the neural code. And yet, from both a practical and philosophical perspective, the neural code is the most important remaining scientific mystery. Analogous to the machine code of a digital computer, the neural code is the software, set of rules, syntax, that transforms electrical pulses in the brain into perceptions, memories, decisions. A solution to the neural code could ‚Äì in principle ‚Äì give us almost unlimited power over our psyches, because we could monitor and manipulate brain cells with exquisite precision by speaking to them in their own private language. The article is full of sci-fi speculation, but notes that it is grounded in current scientific developments and particularly the developing field of neuroprosthetics. Link to ‘We’re Cracking the Neural Code, the Brain’s Secret Language’. A recent news story has noted the consequences of drinking popular energy drink Red Bull in excess as a UK driver was booked for dangerous driving after drinking 20 cans (20 cans!) of the product. Interestingly, the Canadian Journal of Psychiatry published a case report in 2001 suggesting that excessive intake triggered a manic episode in a gentleman with bipolar disorder. Red Bull has had several papers published on it in scientific journals. It is often not referred to by brand, but often by the euphamism of ‘energy drink [with taurine and caffeine]’ or ‘functional energy drink’. Despite the marketing hype, it has been genuinely shown to improve mental performance for a short duration, and particularly usefully, to counteract dangerous driver sleepiness during tests with a driving simulator. …when taken in sensible doses, of course.